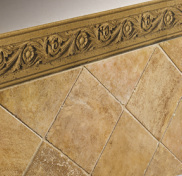 Tile is a manufactured piece of hard-wearing material such as ceramic, stone, metal, or glass. Tiles are frequently used in many residential and commercial projects for covering roofs, floors, walls, showers or other objects such as tabletops. 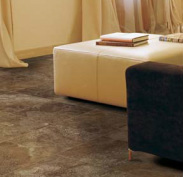 Thinner tiles should be used on walls, however, flooring requires a thicker, more durable tile. Tiles are most often made from porcelain, fired clay, or ceramic with a hard glaze, but there are other materials which are also commonly used such as glass, metal, cork, and stone. Tiling stone is typically marble, onyx, granite or slate. Porcelain and ceramic tiles are among the easiest flooring materials to clean. Due to their impenetrable glazes, their surfaces are resistant to water, dirt, chemicals, oil, debris, and even germs and bacteria. We have comprehensive resources for interior and exterior products from Emser Tile and Florida Tile, which including porcelain, ceramic, metal, glass, quarry, decorative accents and mosaics. Our services are tailored to customers’ specialized requirements. 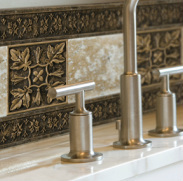 There are so many choices amongst tile to meet any tastes and preferences. By creating a floor pattern with tile, one can express his or her personal style and design a truly unique room. We have a complete list of products that are matched together to make your design plans easy. The back splash and decorative accents of Emser's contemporary collection gives rhythm and life to the architectural geometry of any application. We have matched together a complete selection of our contemporary products from tile to stone to help you make your decisions in a snap.